Good afternoon colleagues, and thank you for participating over the last two days in the conference, from which I’m sure everyone have gained some useful information and knowledge. SAACMA is 6 years old this year. SAACMA stands for South African Association of Chinese Medicine and Acupuncture, and our slogan is “Professional Empowerment for Practitioners”. Therefore SAACMA will organize, inform and assist members as much as possible relating to professional matters. Over the past few years, SAACMA has organized various training programs to comply with the continuing professional development (CPD) program which was set by Allied Health Professions Council of South Africa. 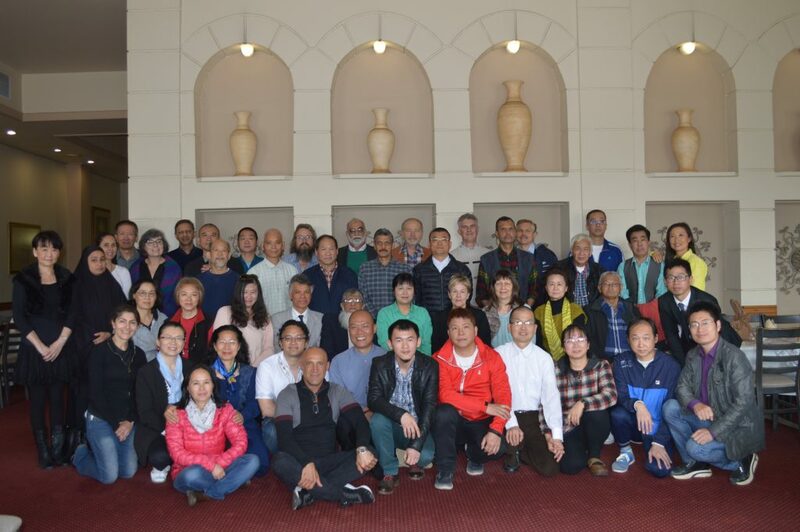 During the past 2 years, SAACMA offered a couple of two day conferences in JHB and in CPT, held seminars in Durban and in CPT, as well as a Qi Gong workshop in JHB, and successfully produced four webinars. As you know, CPD cycles run over two years. The current cycle started on the 1st July 2017 and will end on the 30th June 2019. Doctors, who only practice Acupuncture and Chinese medicine, are required to obtain 40 CEUs for each cycle. SAACMA guarantees our members that participating in all our events; you will gain more than 40 CEUs. This weekend we held our 2017 conference in JHB, and next year we plan to hold our 2018 conference in CPT. The coming year we are planning to offer 5 sets of online case studies and 4 webinars as well. We live in a time when communication happens instantly – via whatsapp and emails. It is easy to read a quick whatsapp message, but the email communication seems to be left for later, and sometime forgotten to read. Please read the emails. They contain important information which you cannot miss. The SAACMA website is currently being refurbished and the new-look website will be launched towards the end of November with Case Studies and SAACMAs nation-wide online CPD program for the current cycle. Besides being active within South Africa, SAACMA also acts as a representative of SA TCM doctors in the international TCM platform. We have been a member of the World Federation of Chinese Medicines Societies for four years now, and today we proudly announce that as from April 2017 we have been a member of the World Federation of Acupuncture-Moxibustion Societies as well. WFAS will hold their annual conference in Beijing this December, and all our members are invited to attend. Each official organization needs a Constitution. A constitution is a set of fundamental principles or established precedents according to which an organization is governed. SAACMA’s Constitution was first presented in November 2011. Since that time there have been new developments and changes in the operations and structures of our organization – thus the content of the Constitution needs to be updated and agreed upon by the majority of our members. This weekend’s conference was most successful, for that I need to express my sincere gratitude to our speakers for their wonderful efforts in preparing the topics and lecturing us (Dr. Hu Jin Yun, who lecture us more than after day yesterday, who also presented us with 3 webinars this year, Dr. Hu Zi Jing who volunteered himself to lecture us and gave us some very inspiring case studies, Dr. Bond Lam, Dr. Rita Lam, Dr. Ebrahim Mahomed, thank you for always contributing your time and effects to the association and your passion bringing us the positive Chi), and yesterday more doctors told me that they are willing to take parts to presenting in the future event, and I want to thank you also in advance. Here I could not forget to thank you our tireless organizing team as well: Dr. Yusuf Patel for organizing the gifts, Dr. Attie Smit for donated the needles which we used for practical yesterday, Dr. Susaar Eksteen for being the driving force behind this conference and all other activities. Although SAACMA is a small organization with 98 members, there is a Chinese saying: “Sparrow is a small bird, but contains all the organs of a big bird”. To achieve the smooth running of SAACMA, I cannot forget to thank our executive committee members and CPT/KZN branch committee members for your selfless contribution, and would like to take this opportunity to urge more members to step forward and take part in the committee, because SAACMA belongs to all of you. Lastly I would like to say: I look forward to meeting you all in our future conferences and online programs.